Concrete painting is an attractive way to improve the aesthetics of a driveway or garage floor, but it does have its limitations. Eventually, the paint will begin to peel, requiring re-application. Not only is this ugly to look at but peeling paint can also trap moisture between the paint and the concrete itself, which can wear away the concrete flooring over time. 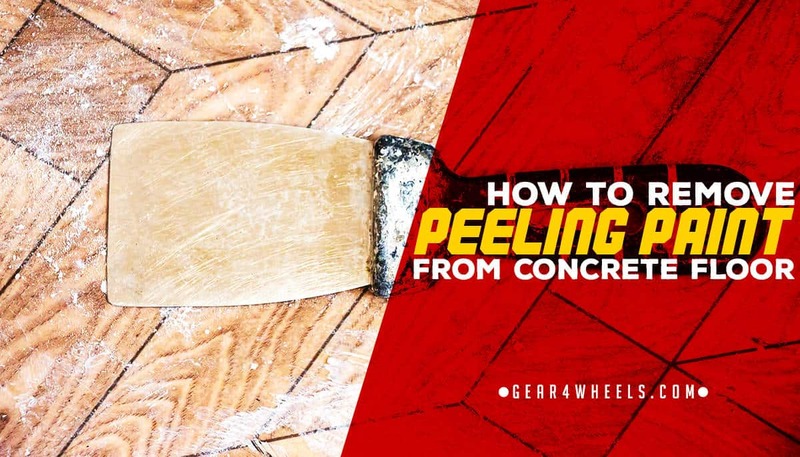 As a result, you'll need to remove peeling paintwork from concrete flooring as soon as it begins to appear. This will expose the concrete surface so that it can be re-painted once more. It’s also a good idea to consider removing layers of paint that were applied many years ago, as lead-based paints have been used more heavily in the past, which can be hazardous to health. The drawback is that you’ll need to be more careful not to inhale fumes given off by this type of paint when carrying out the removal. There are a couple of different methods you can use to remove the existing paint from your concrete floor, though the most effective involves the use of a heavy chemical like paint stripper. 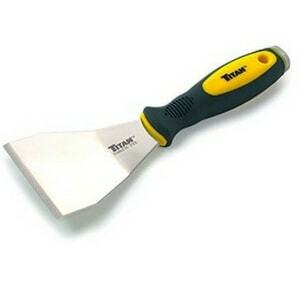 Using a paint scraper, scrape away all the loose and peeling areas of the paint, until it has all been removed. Afterwards, you should wash the surface down with a weak dilution of soap and water, or with a mild cleaning product. Not only will this remove any loose dirt and debris, but it will also remove mildew, making the surface easier to repaint. If you discover that the old paint has left any kind of waxy or greasy moisture behind on the concrete, then you can remove this by selecting a soft to medium-grit sandpaper and gently sanding down the affected areas. If you're aiming to completely repaint the concrete surface, as opposed to simply treating a specific area, or if your paint is peeling but not completely unstuck, then paint stripper is your friend. This chemical can be used in a thick and even layer; you should ensure that the product has completely covered the painted surface to a point that the layer is double the thickness of the layer of paint. This chemical should be left for up to several hours, until the paint has begun to wrinkle and peel. In terms of the logistics of the application process, there are a few things to remember. Any plant life located near the surface being treated should be covered with plastic sheeting to protect them from the harsh chemicals in the stripper. The same applies to any other painted goods you don't want damaged by the product; this powerful cleaner can damage stone, wood and even metal. When the painted surface has wrinkled and you're ready to remove the paint stripper, your best bet is to employ the use of a pressure or power washer. 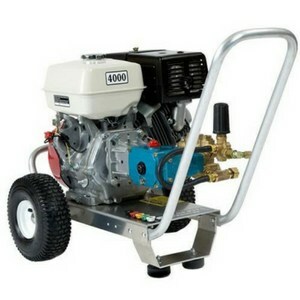 The pressurised water generated by one of these machines is powerful enough to slough away the loosened, wrinkled paint, leaving behind a surface free from paint and other debris. You could also use a scraper, though this is going to take much longer. If you don't have a pressure washer and opt for this solution, then be sure to properly protect your hands, as paint stripper can be harmful to skin during extended periods of exposure. Once the paint stripper has been completely cleansed from the concrete surface, then you’re ready to start painting again.